You’re driving toward one of Europe’s oldest continually inhabited cities. But, surprisingly, you’re not in Greece, where so many of these ancient cities are found. Nor are you in Italy or Spain, the next countries that immediately come to mind. This time, you’re farther east. Much farther east. In fact, you’re practically in Asia. Mtskheta sits at the confluence of the Aragvi and Kura Rivers in Eastern Europe. It was the Kingdom of Iberia’s capital from the 3rd century BC to the 5th century AD. The monarchy eventually moved the capital to Tbilisi, whose location was easier to defend. But Mtskheta remained the spiritual center of the Kingdom of Iberia and, eventually, Georgia, once the country unified. Today, the UNESCO World Heritage Site is filled with churches and monasteries, ancient ruins and tombs. 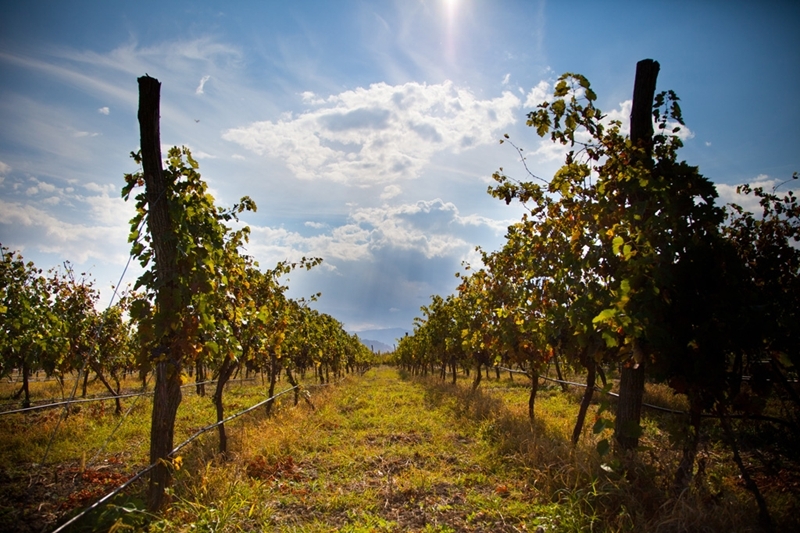 Plus, vineyards surround the Holy City. Your tour of Mtskheta begins at the Jvari Monastery just outside of town. Actually, it starts at the bottom of the rocky mountain on which the monastery sits. Hike up the mountain to the holiest site in the city, if not the country. The pink stone church was built in the 4th century when Saint Nino converted King Mirian III of Iberia to Christianity. Most people come to see the Georgian Christian architecture, though it’s the view over the city that captures your attention. 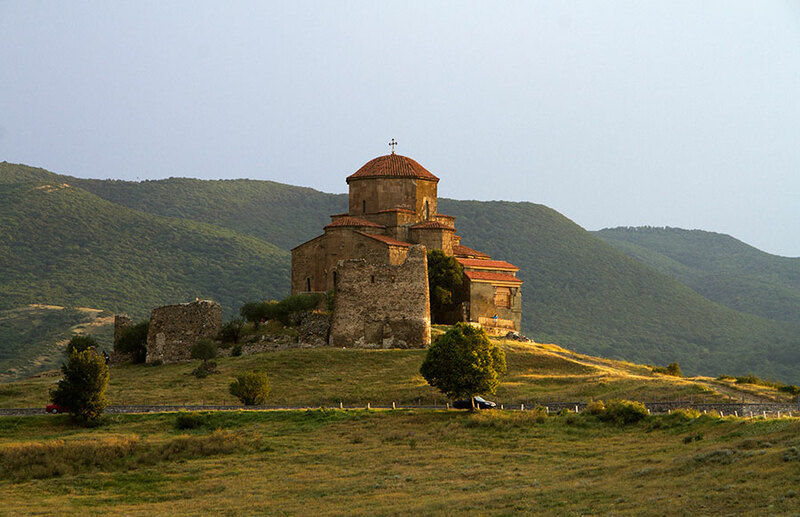 When you finish exploring the Jvari Monastery, check out the rest of the churches in Mtskheta. The Svetitskhovli Cathedral, which was built in the 11th century on the site of Georgia’s first church, has beautiful stone carvings. Christ’s robe is supposedly buried here. The nearby Samtavro Church, from the 4th century, is now a nunnery. While the ruins of two fortresses and an acropolis are scattered around the city. After your tour of Mtskheta’s historical sites, it’s time for a completely different type of tour: a winery tour. Château Mukhrani was the estate of Prince Ivane Mukhranbatoni. After visiting France in the 19th century, he started growing vines and making wine. The château and the vineyards were abandoned when the Soviets arrived. They were revived about a decade ago. Walk around the castle, the gardens, and the old cellar. See the new machinery that has turned Château Mukhrani into one of the most-modern wineries in the area. Then start tasting the wines. The Rkatsiteli white, the Tavkveri rosé, and the Saperavi red are your favorites. They’re the perfect complements to your history filled day.